School starts in two days. 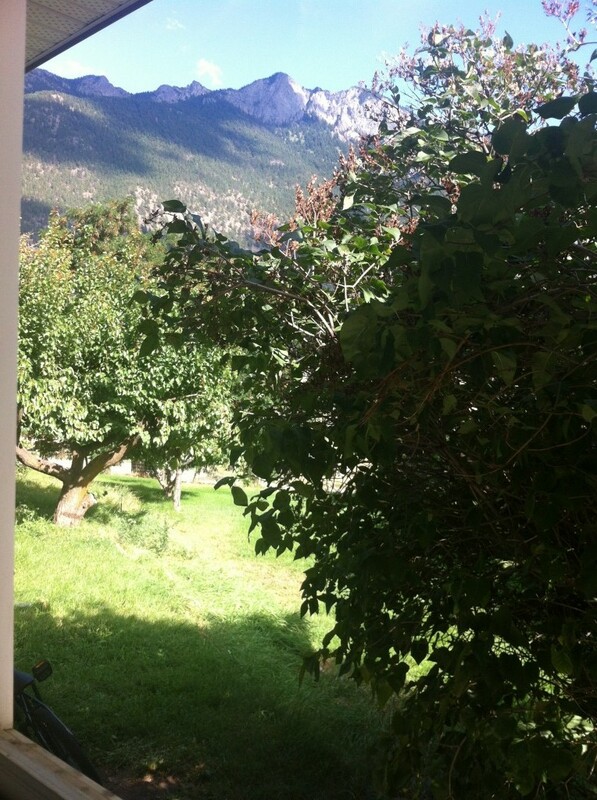 I’m ridiculously excited to see the kids and get started on our year together but I do feel the need to transition through and say good-bye to my summer holidays first. At the beginning of the summer, I had great intentions to blog for two months. As summer rolled along, my plans changed. I had an absolutely wonderful summer, thinking about work very little, which led to my feeling, at this point, as if I did have a real holiday. Personally, I don’t think summer is the time for me to read books about teaching, blog about teaching, tweet about teaching (although I was guilty of that a bit), or stay in a work mindset. It’s a time to relax, spend time with my children and other family, read for fun, swim at the lake, sort out my thoughts, realign my beliefs and rejuvenate my body and soul. But while I didn’t ‘work’, I did learn. And the major learning experience for me this summer was my study. I never started out saying, “hmm, I think I’ll do a three room swap in my house and renovate the study, all on my own, without any help,” but that’s exactly what happened. The summer detour this year (the opposite of my previous summer detour because it was completely unplanned and happened all on it’s own), started when I decided to read The Happiness Project by Gretchen Rubin. I’d heard about this book, and the blog that goes with it, and started reading it at the end of June. I’m only a couple of chapters in (more on why coming up), but I highly recommend it. Gretchen looked at happiness from a writer/researcher point of view and tried out the different themes she discovered in her research. Each month she tested out a different theme centered around making herself happier and then wrote about her experiences. The first theme is Boost Energy and that chapter includes a section on the benefits of reducing clutter in one’s physical space. I decided that I was not continuing on to chapter two without test-driving all her themes myself. 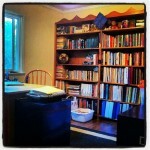 I took one look at my home and realized how draining all the clutter was and decided to do something about it. I told my husband of my plans. I was going to take EVERYTHING out of my study. Then I was going to clean the room top to bottom and move our teenage son into that room, taking ONLY what he wanted out of his old room. Then I was going to take EVERYTHING out of his old room, clean it top to bottom and move our younger son into that bedroom. 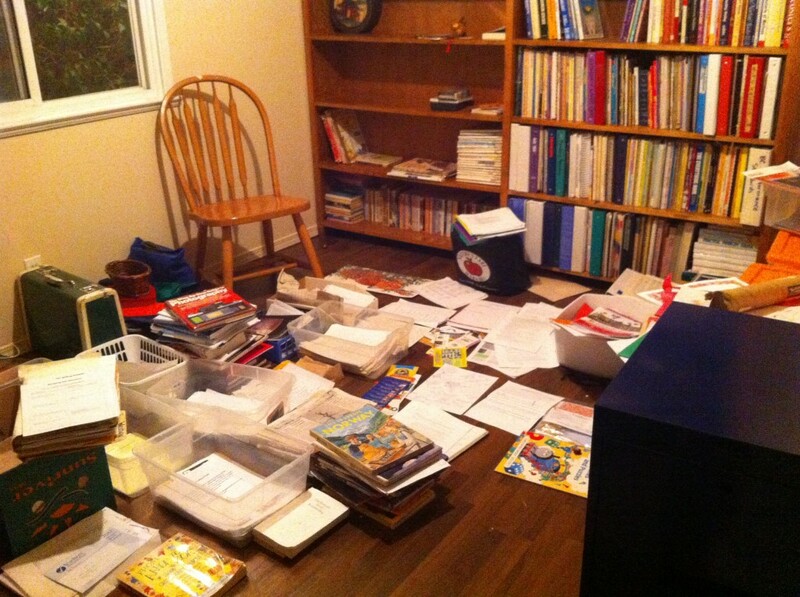 Then I would take EVERYTHING out of that son’s room, clean it, and turn it into my study. 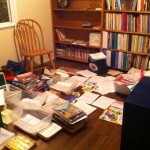 Then I would move the essentials into my new study, purging all that I (and they) no longer needed. I thought this might take about two weeks and told my husband he didn’t have to worry, that I would do all this myself (with the boys’ help). I’m sure you can imagine the look he gave me, but, being the nice partner he is, and understanding my stubborn independence, he told me it was a good idea and let me run off to get started. First off, let me say that is was quite obvious I’ve been teaching for almost twenty years when the pile of stuff I moved out of the study filled up the majority of our living room space. Anyone walking into my home at that time must have suspected I was a hoarder. So much teaching stuff. And sewing stuff. And craft stuff. And art stuff. Ridiculous. But, I didn’t look at the pile too long as I instead shampooed the carpets in the old study, filled a couple of nail holes and moved my ecstatic teen into his new, ‘teenager’ bedroom, taking only the possessions he couldn’t live without from his old bedroom. I then added to the living room pile by moving everything he didn’t want out of his old bedroom. I love my son, but his room, like many teenagers’ rooms, I’m sure, was disgusting. Once everything was out and cleaned up, I moved my younger son in. Or rather, one day, when his friend was over, I said, in my best enthusiastic-teacher-voice, ‘hey guys, how would you like to set up all the furniture in the new bedroom???!! !’ and they actually went for it. They spent all day happily moving furniture around and, I have to say, did a great job of setting up his new bedroom, taking only what he absolutely needed to keep. Much to my husband’s growing distress (he hadn’t anticipated the hoarder-style living arrangements), I then removed everything from the younger son’s room. 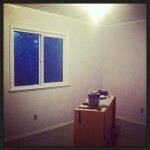 Now, this room was the original nursery all those years ago. Amazingly, there were still things in there from when it was the original nursery all those years ago. Why? I have no idea. I took everything out of that room and let me say that it was a good visual to see all the stuff piled in one place that had NOT been moved back into either bedroom. We are not big consumers, there is no big box store mall here, but we still manage to accumulate a lot of useless stuff. Many lessons for our family in that alone. 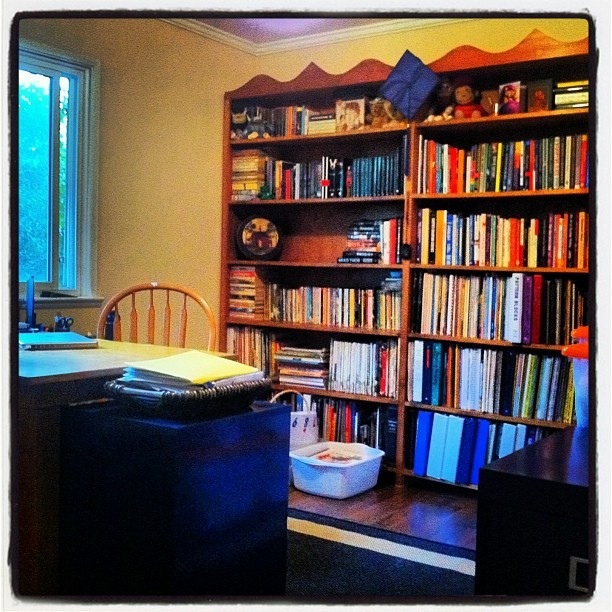 Once that last room was empty, I decided that if I was going to finish this properly, I was going to renovate to truly claim my space as my new study. I primed the walls, filled the holes (helpful advice…never put a dart board in a little boy’s room…many, many holes to fill), removed trim and painted. Then, against my husband’s advice, I ripped out the carpet. Laminate flooring can’t be that expensive or difficult to do, right? Yeah, no. I learned all about flooring, subflooring, and how much it costs a square foot – staggering what you can spend on the stuff you walk on everyday. I had no idea. Many lessons for me there. As you can probably see, I’d learned a great deal by this point, but the most profound learning was still to come. 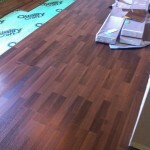 I decided to purchase click together laminate flooring. I installed the subflooring and started piecing together the flooring myself. My husband, ever watchful from afar and helping me from the sidelines, set up his radial arm saw and jigsaw so I could cut the pieces to the right length/shape. 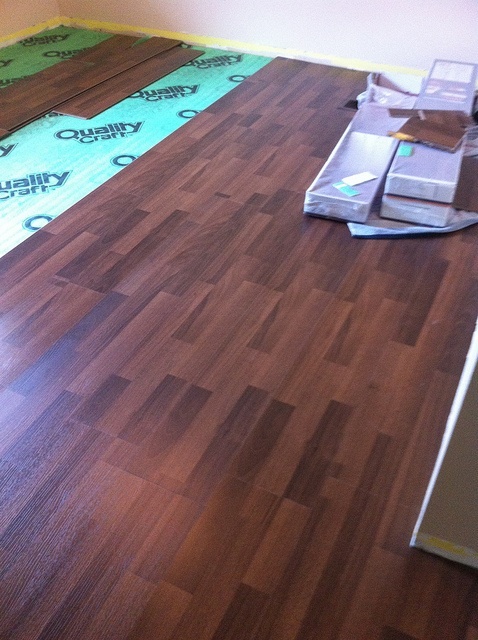 The first few rows of flooring went really well. No problems. But somewhere near the middle of the room, I started to run into problems. Pieces weren’t fitting together properly. I’d get a few rows done and notice a gap and have to undo and redo the rows. I made a horrible mistake on a cut and worried I was going to run out of flooring. What was supposed to take me a few days started to take more than a week. Finally, a month after I’d started my three room swap and a week and a half after I’d started the flooring, I, full of frustration (but still not asking for help), wandered into the den and sat down to watch TV with my husband. He took one look at me and said ‘I’m going to help you, let’s get that floor done,’ and he took my hand and stood me up. Being a patient, but kind, person, he had watched me stubbornly try to do this task all on my own and when he noticed that I was ready to break, he stepped in. Much learning and many parallels to teaching there. I instantly became the student and he quietly slid into the role of the master teacher. Now, I should share with you that my husband can build anything and fix anything. He is amazingly talented in this way. So, not surprisingly, with his help the other half of the room was done in two hours. Two hours. And he basically took apart about 1/4 of the flooring I had done before continuing on. It was a humbling experience, to say the least. More lessons, adding in a dose of humility too. Once the floor was done and the trim back on the walls, I spent several days moving the essentials in. It was a huge task to go through the pile in the living room and only move in what I couldn’t live without. But, after all that work, I’m proud to say I have a beautiful study that is an efficient, organized space to work, think and just be me. My ‘life’, including my life as a teacher, feels more organize than ever before. 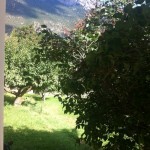 And, as a bonus, I have a lovely view of lilac bushes, an apricot tree andFountain Ridge out the window beside my desk. In the end, while I didn’t ‘work’ at all this summer, I did end up working very hard and I am so proud, and happy, with the results. I can finally continue on with reading The Happiness Project. I do hope that no other chapter takes me two full months to get through, but if it does, so be it. I was humbled as a learner and will carry that experience as a reminder into my classroom this week, along with all the other learning that came out of the three room swap. And I’m so thankful to feel settled and organized in my new space. Check out my Flickr set for a few more renovation photos. While I am a little disappointed that I didn’t blog about all those topics I listed in July, I am really happy with all that I accomplished this summer and I am ready (almost!) to say good-bye to the hot, sunny summer days and say hello to a new group of energetic, curious young minds. I can’t wait to hear about what they learned this summer, too! 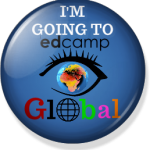 This entry was posted in about me, professional development, Reflection and tagged learning, summer detour, summer holidays by egregory. Bookmark the permalink.